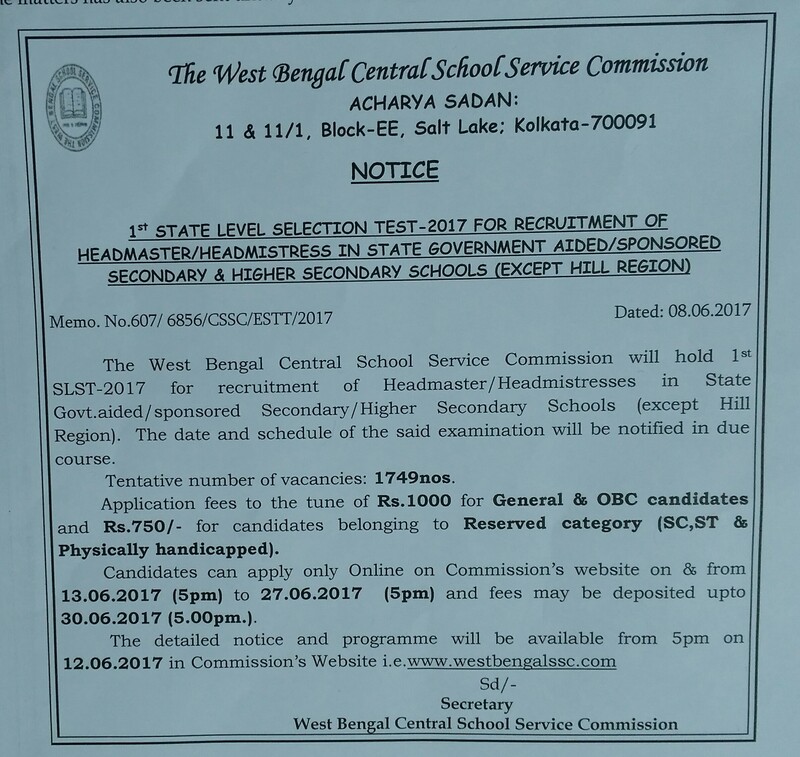 West Bengal School Service Commission is going to recruit fresher candidates in India for Headmaster/ Headmistress Posts. So, those candidates who are willing to work with this organization they May apply for this post. Last Date of Apply 27-June-2017. Total numbers of vacancies are 1749 Posts. Only those candidates are eligible who have passed Degree in any discipline from a recognized University or its equivalent. Indian citizen having age in between 20 to 38 years can apply for this West Bengal School Service Commission Recruitment 2017. 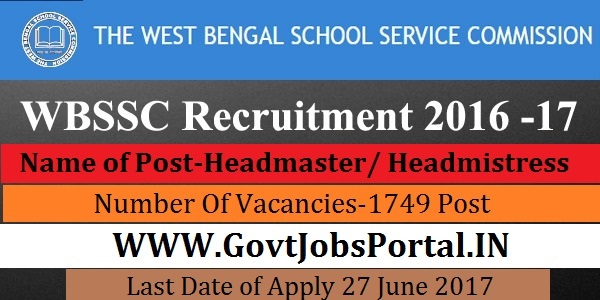 Those who are interested in these West Bengal School Service Commission jobs in India and meet with the whole eligibility criteria related to these West Bengal School Service Commission job below in the same post. Read the whole article carefully before applying.